The convenience store industry has withstood fierce competition by offering convenience, value, and a wide variety of products. A store’s small size and accessibility enables operators to adapt to changing environments and consumer preferences, making them more resilient as busy price-conscious consumers search for the quickest and most convenient way to spend their dollars. Advancements in technology have created pressure for convenience stores to develop an efficient and integrated experience — particularly given the nature of today’s plugged-in consumer. Five years ago, the idea of an unstaffed store using facial recognition to track customers and robots to stock shelves seemed like the something right out of a sci-fi thriller. Today, retail businesses across the U.S. have tapped into a wave of innovative technology that is creating a new kind of experience that on a daily basis fuels the bodies and vehicles of an estimated 160 million convenience-store customers, according to the National Association of Convenience Stores. It’s a challenge for convenience store operators both large and small to stay competitive as e-commerce and retail giants continue to reshape the digital landscape. The future is here and now! It is not the time for convenience stores to fall behind on the latest trends in digital technology. Forward-thinking convenience stores have a special opportunity to leverage digital technology to expand name recognition and draw more customers to their stores. Couponing has come a long way since the first coupons arrived — offering a free glass of Coca-Cola to customers over 130 years ago. Consumers are tethered to their smartphones — they use digital tools when they go shopping, even as they peruse the aisles of their local convenience stores. Connected devices are changing the relationship between physical stores and shoppers, according to the PYMNTS Remote Payments Study, many shoppers are increasingly dependent on smartphones. As a result, the “face” of modern retailers has become its mobile website and app. The study found that fifteen percent of respondents who paid on location via smartphone were at gas stations. 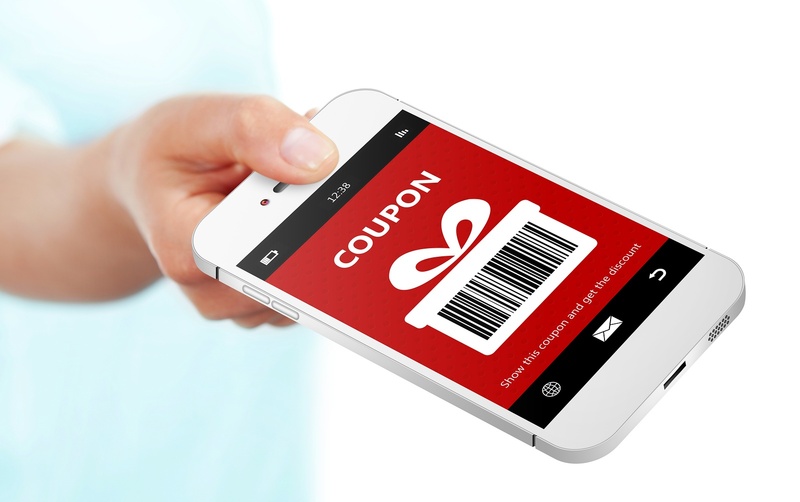 Mobile coupons often deliver redemption rates that are 10 times higher than that of paper programs, and they can be targeted to a specific audience. In-dispenser media technologies, or gas pump TV’s, is a great way to promote products and encourage customers to come inside and purchase a drink or snack. These types of programs create an opportunity for convenience stores, CPG companies, and marketers to communicate directly with the consumer. For consumers, they provide a way to save without the hassle of clipping and organizing paper coupons. Beacons are small wireless devices that are strategically placed throughout retail locations to deliver information and alerts to shoppers via Bluetooth. Geofencing is literally a virtual fence that uses GPS and WIFI, which makes it possible to register persons in possession of a smart watch, smartphone, or other device within a previously selected area. The use of beacons and geofencing is primarily used for location-based marketing. The two technologies represent a huge potential for convenience stores who utilize a mobile marketing strategy. In 2016, through the use of smart beacons, Heineken increased revenue by $320,000 and customer engagement rose by 200,000. Imagine walking into your favorite grocery chain, restaurant, retail store, or pulling up to the pump and you receive a notification on your phone. It contains today's deals and specials tailored directly to you. In a study by the beacon platform Swirl, 73% of shoppers said beacon-triggered offers increased their likelihood to purchase during a store visit. It might look like magic, but it's actually not that complicated. Artificial Intelligence (AI) — through the use of algorithms, sensors, cameras, and customer smartphones, has the potential to create a solution that allows for 24/7 unstaffed, semi-staffed, or self-service format at convenience stores — anytime, anyplace. In Shanghai, a prototype of a new 24-hour convenience store is completely on wheels. It has no registers, no staff, and is designed to eventually drive itself to a warehouse to restock, or to a customer to make a delivery. In 2018, 7-Eleven announced it plans to pilot a Scan & Pay technology at 14 locations in the Dallas Metro area through a proprietary app and using a geofence surrounding to track customers. Additionally, Amazon opened the first-ever convenience store that operates without cashiers or self-checkouts. 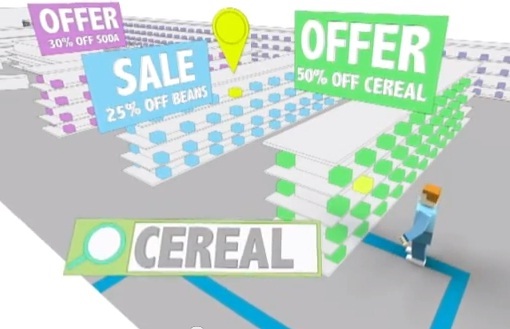 It’s a technology that uses computer vision and machine learning that allows customers to enter the store, grab items from the shelf, and walk out. It is yet to be seen whether AI in the long term will become viable for convenience stores, only time will tell whether it transforms retail or it becomes an expensive flop. Customer experience is priority #1. Today’s retail consumers are becoming more demanding. They are empowered with the availability of information and data that guides their buying decisions. Convenience stores need to adapt to the new research-and-buy process so that they can retain and grow their share of consumer spending as the industry undergoes paradigm-shifting changes. At PWM, we work tirelessly to position ourselves as the price sign leader, providing our customers with excellence in everything we do — from creating new product innovations, to delivering unmatched customer support after installment. We work with our partners and customers to adapt our business models to meet changes in technology, layouts, sign placement, weather conditions, and more. In fact, the development of PWM’s TRACK System was built so updates and fixes could be done with better communications and therefore quicker fixes. Now, convenience stores using TRACK System technology are able to worry less about scheduling routines and preventative maintenance because it is done automatically. Why does this matter? The more convenience store operators leverage technology to focus on the customer, the more likely customers will have an experience worth returning to. Technology will continue to advance as companies experiment to discover the next big technological breakthrough. Staying abreast to these breakthroughs and investing in a solid digital technology infrastructure will allow convenience stores to shape memorable customer experiences for years to come.